Vitastat Medical (Astoria) - Book Appointment Online! 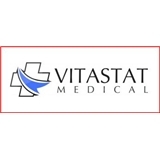 Vitastat Medical, is an Internal Medicine Medical Office (primary care for adults), dedicated to improving the health and wellness of all our patients. We strive to provide a comfortable experience while at the same time providing excellent medical care and useful counseling & education tailored to the patient’s unique medical profile. Ultimately, we serve to better the health of the community one individual at a time. Medical problems we can treat include, but not limited to, common colds and flu, sore throats, headaches diabetes, high cholesterol, high blood pressure, asthma/COPD, osteoarthritis, osteoporosis, deep venous thrombosis management, pulmonary embolism management, vitamin deficiencies, allergies, heart disease, and urinary problems. We also provide comprehensive health care, including annual physical exams, routine check-ups, women’s health, and vaccinations. Dr. Truong was great, very helpful!